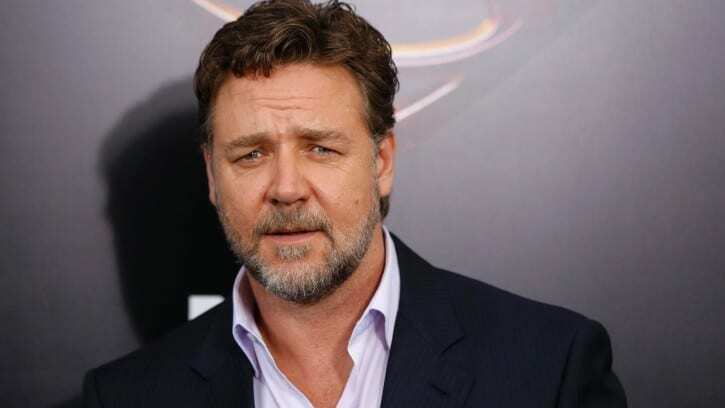 Academy Award Winner Russell Crowe may be taking the leap from the DC Extended Universe into the Universal Monster Cinematic Universe. According to The Hollywood Reporter, Crowe is in early talks to star alongside Tom Cruise in The Mummy. It turns out that Crowe could be signing on to play the classic literary characters Dr. Jekyll and Mr. Hyde. Universal had been in talks with Tom Hardy and Javier Bardem to potentially play the role, but those talks have since fallen apart. It must be noted that these are early talks being had, so it’s possible Crowe does not sign onto the project. Potentially joining The Mummy as Dr. Jekyll and Mr. Hyde would give Crowe the opportunity to be a part of two cinematic universes. Crowe previously played Superman’s Kryptonian father Jor-El in Man of Steel. With the Universal setting their eyes on Crowe, I believe that it is possible that they may want to have him in for multiple films to epitomize the duality of Jekyll/Hyde. This marks yet another A-list movie star that Universal has sought after for their Universal Monsters Cinematic Universe. With Cruise headlining The Mummy and Johnny Depp slated for The Invisible Man, adding Crowe would only amplify the amount of star-power that this potential franchise can have. Crowe will next be seen in the upcoming Shane Black buddy cop/comedy The Nice Guys with Ryan Gosling set to be released by Warner Bros. Pictures May 20, 2016. UPDATE: In an interview with Collider promoting The Nice Guys, Crowe has confirmed his involvement with The Mummy. Yeah, I’m gonna do it. I’m gonna play Dr. Henry Jekyll, Fellow of the Royal Society. It’s very interesting, what they’re gonna do with that stuff. Universal has also released an official synopsis for the reboot. Directed by Alex Kurtzman and starring Tom Cruise, Sofia Boutella, Anabella Wallis, Jake Johnson, and Russell Crowe, The Mummy will be released June 9, 2017. It’s hard to dismiss this shared monster universe with some of the talent they’ve been chasing. “my room mate Lori Is getting paid on the internet 98$/hr”…..!cc634atwo days ago grey MacLaren P1 I bought after earning 18,512 DoIIars..it was my previous month’s payout..just a little over.17k DoIIars Last month..3-5 hours job a day…with weekly payouts..it’s realy the simplest. job I have ever Do.. I Joined This 7 months. ago. and now making over. hourly 87 DoIIars…Learn. More right Here !cc634a:➽:➽:➽➽➽➽ http://GlobalSuperJobsReportsEmploymentsScanGetPayHourly$98…. .❖❖:❦❦:❖❖:❦❦:❖❖:❦❦:❖❖:❦❦:❖❖:❦❦:❖❖:❦❦:❖❖:❦❦:❖❖:❦❦:❖❖:❦❦:❖❖:❦❦:❖❖:❦❦::::::!cc634a….,…. You’re right, it sounds like they’re going all out on this. I think Angelina Jolie is rumoured as well, maybe for Bride of Frankenstein, but I could be wrong. Anyway some big BIG talent.